Making your own drinks and infusions is very easy to do and highly recommended. Using everyday herbs and spices found in your kitchen, in just minutes you'll be enjoying tasty and very healthy cups of tea! Marie Stubbs - Author of "Ahead Of The Class"
“I enjoyed the spice and herbal tea recipes in this book. I grow a lot of the herbs to use in my cooking, but I never thought about using them to make healthy drinks. ...And in most cases you probably already have most of the ingredients in your rack already! 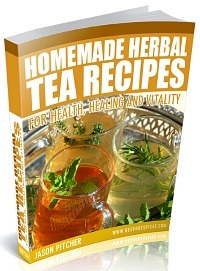 If you order The Herbal Tea book you will also receive a bonus book written by me for FREE. 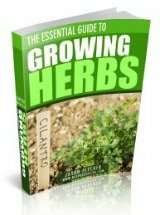 The Essential Guide To Growing Herbs shows you detailed step-by-step tips about how to grow herbs for use in your teas and recipes. 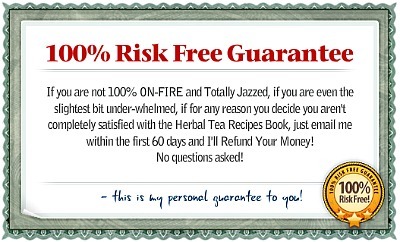 You have nothing to lose and lots to gain when buying "The Herbal Tea Recipes Book". I am so confident that you will enjoy these recipes that I am giving you a 60 day money back guarantee! If any time in the next 60 days you simply decide this book isn’t for you; send me an email and I’ll refund every single cent you invested, no questions asked! You get instant downloadable access to your book so you can start making your herbal tea recipes in just minutes from now. Download your copy now, and start your journey towards creating wonderful herbal tea recipes. Please Note: The tea book and bonuses will not be physically shipped. They are delivered as PDF files meaning you download them and read them on your PC, Mac or phone. Or, just print them out and read them at your leisure! PS. If you'd like to purchase this book with 4 bonuses instead of 1, click here. PPS. If you have any questions at all about the book or bonuses you can contact me here.